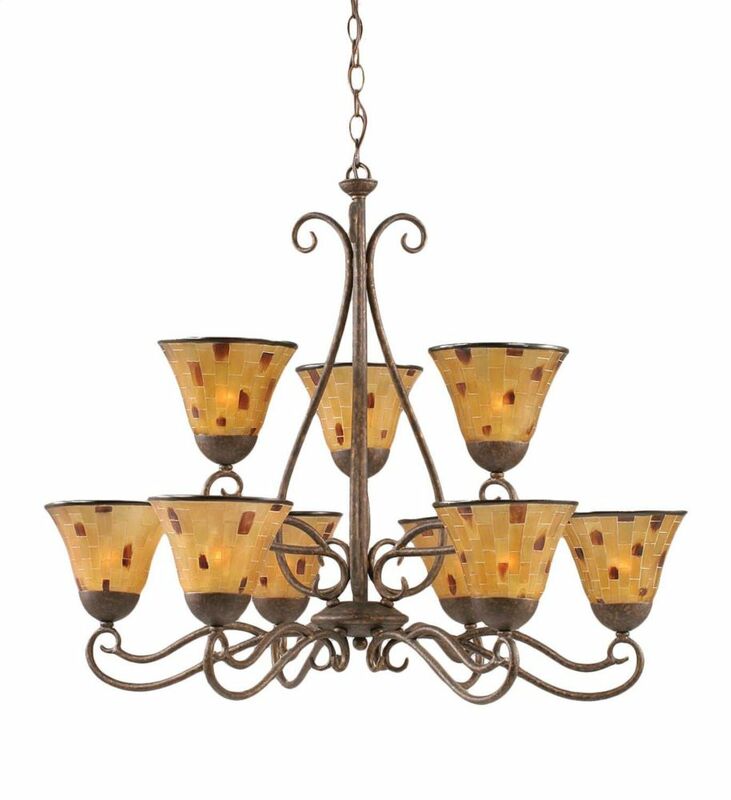 Classic chandelier with rubbed oil bronze finish. Perfect focal point for any space. A matching canopy is included. The E12 bulb base gives you a very broad choice in bulb styles to choose from. The Romanelli Collection contrast the austere band of the minimal diffuser with the glittering cascades of crystals emanating from beneath. With randomized shapes and colours within the fagade of crystals, the fixture's aesthetic is truly alluring. Add this chandelier as a centrepiece to your home. The Cube Lantern offers style and practicality at affordable prices. It's eye catching design makes for a beautiful addition that will enhance the exterior of your home. This fixture is beautifully finished in Old Bronze and complimented by Clear Seed Glass. This fixture uses (1) 60 watt A19 maximum/medium base bulb. Concord 9-Light Ceiling Bronze Chandelier with a Penshell Resin Glass The cornerstone of the concord Collection is quality, and this chandelier is no exception. Combining a classic bronze finish and posh styling, you will find no better way to highlight the charm of your home. With the superb craftsmanship and affordable price this fixture is sure to tastefully indulge your extravagant side.